I will request a meeting with the Minister of Cooperative Governance and Traditional Affairs (COGTA), Pravin Gordhan and Finance Minister, Nhlanhla Nene, together with acting Eskom CEO, Brian Molefe, to discuss the way forward on disallowing Eskom to cut electricity to municipalities countrywide. This follows Eskom’s intentions to interrupt the bulk electricity supply to the top 20 defaulting municipalities across the country starting in June this year. Molefe’s comments, on the utilisation of pre-paid meters to solve municipal debt and Eskom’s financial woes are not well thought through. This was heard during the briefing made before the Portfolio Committee on Public Enterprises yesterday in Parliament. It is unclear whether Molefe has consulted anyone on this proposal. 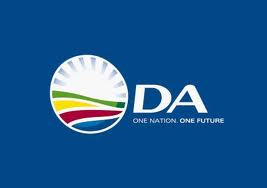 The DA has repeatedly appealed to Minister Gordhan to invoke a section 154(1) intervention in terms of the Constitution to lend support to these municipalities. Section 154(1) allows the Minister to direct the respective Provincial COGTA MECs to ensure municipalities institute recovery-plans and lend support by sending technical and financial advisors to these struggling municipalities. • That these funds be used for the upgrading and maintenance of electricity infrastructure. In this way, residents who pay their electricity bills are not penalised because the Municipality does not pay its bulk bill to Eskom. Molefe would do well to go back to the drawing board and consult the relevant stakeholders before making outrageous statements that municipalities should be bypassed in the collection of revenue for the sale of electricity.